Diesel (compressed ignition or C.I.) 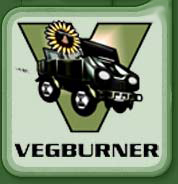 engines have been fuelled with vegetable oil since the early years of their conception. This site is dedicated to providing the most up to date information about fuelling C.I. engines with vegetable oil. While every effort is taken to ensure that the information here is accurate we can accept no responsibility for any problems encountered while acting upon it.